Hoover WR71 WR01001 Whirlwind Bagless Upright Vacuum Cleaner – Red/Grey now only €74.99 (WAS €189.99 Save 61%) – @ littlewoods. PuttOUT Pressure Putt Trainer now only €27.99 (WAS €199.99 Save 86%) – @ littlewoods. Kidde Long Life Smoke Alarm. now only €12.49 (WAS €19.99 Save 38%) – @ argos. Kidde Single Carbon Monoxide Alarm. now only €12.49 (WAS €25.61 Save 51%) – @ argos. 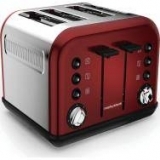 MORPHY RICHARDS Accents 242030 4-Slice Toaster – Red now only €44.99 (WAS €64.99 Save 31%) – @ currys. MORPHY RICHARDS Accents 242031 4-Slice Toaster – Black now only €44.99 (WAS €64.99 Save 31%) – @ currys. 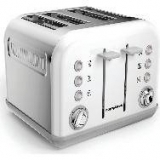 MORPHY RICHARDS Accents 242032 4-Slice Toaster – White now only €44.99 (WAS €64.99 Save 31%) – @ currys. Tassimo by Bosch T12 Vivy – Cream. now only €51.99 (WAS €119.99 Save 57%) – @ argos. Tassimo by Bosch T12 Vivy Coffee Machine – Black. 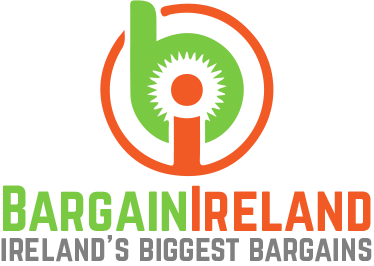 now only €51.99 (WAS €119.90 Save 57%) – @ argos. 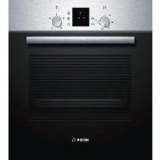 BOSCH HBN331E3B Electric Oven – Stainless Steel now only €299.99 (WAS €519.99 Save 42%) – @ currys.